– The subtitle ‘based on actual events’ at the beginning of the film is unnecessary. We all know it was based on actual events. -The scene where Abraham Lincoln’s father pulls a penny out of his pocket, shows it to the toddler Lincoln and tells him, “there, that’s what you’re going to look like some day” makes no sense. -The makeout scene between Abraham and Mary Todd Lincoln was far too long and extremely uncomfortable to watch. – Having Lincoln’s top hat get knocked off every time he walks through a door, greatly diminishes his credibility. -Abraham Lincoln did NOT make slaves write the Gettysburg address! 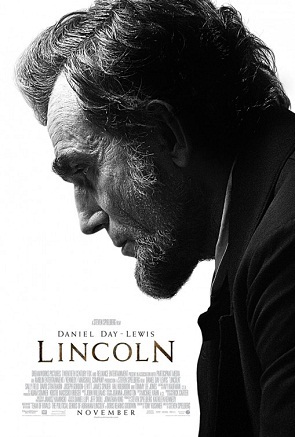 -Never, have I ever heard that Lincoln knew how to ride a unicycle, yet this seems to be his main mode of transportation in this film. -Abraham Lincoln’s last words in the film, “remember me, whenever a car dealership, or an appliance or furniture store has a sale around patriotic holidays,” seems hokey. -After the credits we see an exterior of the White House. Then, it cuts to the Oval Office. Teddy Roosevelt is sitting behind the desk, laughing maniacally. I’m not sure what the filmmakers are getting at here. You never fail to make a bad day just a bit brighter with your blog entries. You’re too kind. P.S – did you see I finally got around to writing your headline suggestion? Hold on a minute…. What happened the vampires? Oh, they were there. They just weren’t that confusing.